Looking for a QuickTime converter? Despite its popularity, QuickTime is not a universal media player. Natively, it supports only a few video formats: 3G2, 3GP, DV, MOV, and various MPEG options, including MP4. But what if you want, for example, to play Windows Media Video files in QuickTime? 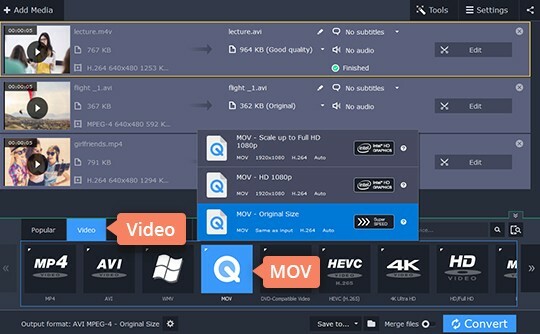 Fortunately, there is a simple solution: just download Movavi Video Converter, a convenient video conversion application for Windows or Mac, and change the format of your WMV videos to QuickTime. Also, you can just as easily convert QuickTime movies to any other video format using the same software. See how easy it is with this step-by-step guide. Download and run the program. Follow the on-screen directions to install the Movavi software. 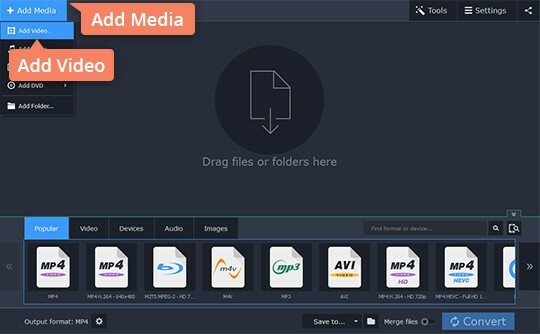 Click Add Media, then choose Add Video, and select the files you want to convert to the QuickTime format. If you want to work with video on DVD, you’ll need to choose Add DVD and then click Open DVD instead. 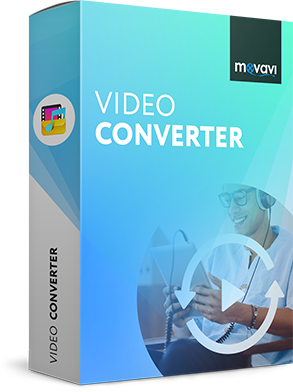 You can add files in just about any input format – Movavi Video Converter supports over 180 video and audio formats. For example, you can convert WMV and AVI to QuickTime, or convert QuickTime to MP4, AVI, and other, less common, alternatives. Whichever file format you want to work with, the Movavi software will do the job perfectly. To convert your video to the QuickTime format, go to Video above the presets ribbon and find the MOV group. Click to expand it and select the preset that best suits your needs. If you need to convert QuickTime to MP4, AVI, or another format, simply look for the appropriate preset group on the list. 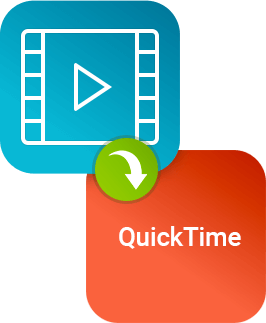 Need to convert QuickTime videos for playing on your iPhone or another mobile device? Movavi Video Converter is handy for that, too. Just open the Devices tab and locate your device's brand and model to find a preset that's designed specifically for your device. Before starting the conversion, check the Save to field. 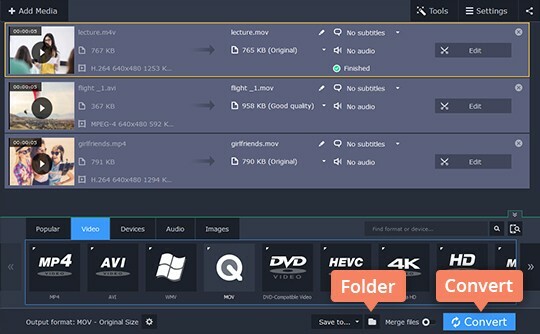 By default, Movavi Video Converter will save your newly created QuickTime movies to the Movavi Library directory, but you can choose a different folder by clicking the Folder icon on the right. When you’re ready, hit Convert and the program will start changing the format of your files. Once the conversion is complete, the folder containing your QuickTime files will open automatically.